Exploring off the beaten-track in Australia can sometimes seem like a bit too much of a challenge. 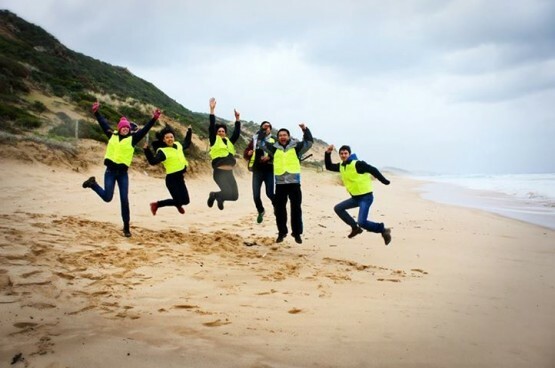 Becoming a conservation volunteer in Australia will open you up to its beautiful countryside, seascape and outback areas in a way like no tour could hope to do. Victoria, Australia’s second smallest state, is a beautiful place to start this adventure. Victoria’s main city, Melbourne, is a bustling and vibrant place, an ideal base for those who love city life. There are urban projects in Melbourne and the city surrounds, but most volunteers head out to Bendigo or Geelong, important cities in Victoria’s history and culture. Bendigo is a Victorian city made rich when gold was discovered there 150 years ago; Geelong is the start of the Great Ocean Road, Australia’s most spectacular stretch of coastline. Helping at the Melbourne Wildlife Sanctuary to re-introduce native mammals, including bandicoots and dunnarts. This project develop the habitat through tree planting, weed control, exclusion fencing and walking track maintenance. It’s also a good place to spot some kangaroos! For more information about becoming a conservation volunteer in Australia, have a look at our conservation volunteering website.